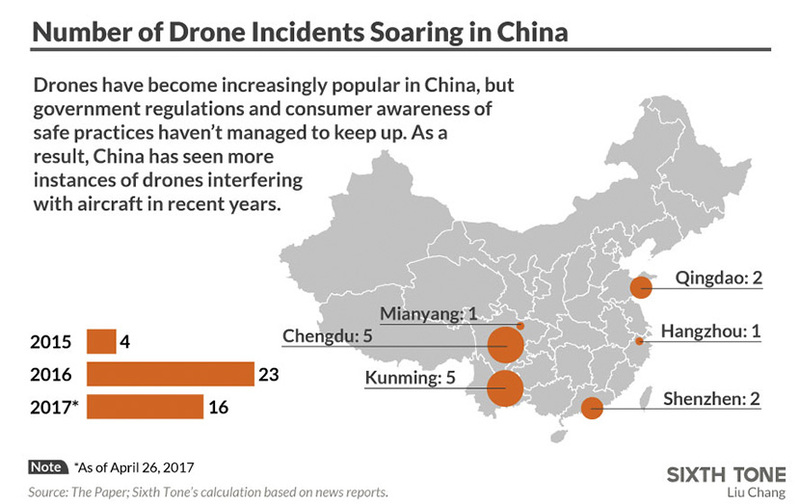 On April 14, 17, 18, 21, delinquent drone pilots have been flying drones near Chengdu Shuangliu International Airport in China, causing more than 100 flights to make unscheduled landings or returns, which affected more than 10,000 passengers. DJI, The world’s leading drone manufacturer, is trying to help out the investigations by offering up to 1 million yuan ($125,000) in rewards for clues leading to further help of the police investigations. Let’s not forget that DJI has software which limits the abilities of the drones based on the pilot’s location. For example, DJI has established that airports are no-fly zones. However, there are some ways that drone pilots can bypass this measure and fly without restriction from DJI. I don’t want to speak for all drone lovers, but I find this whole incident of drone pilots disrupting airports unbelievably annoying. When drone pilots do things like this it puts a bad light on our industry. Lots of jurisdictions all over the world are in midst of deciding how they plan on regulating drone uses and though it is honorably meant to protect the public if more pilots fly recklessly… We may not be able to fly our drones anywhere. Jurisdictions all over the world are in midst of deciding how they plan on regulating drone uses and though it’s meant to protect the public if more pilots fly recklessly then we may not be able to fly our drones anywhere. This is exactly why we at ImproDrone try so hard to promote safe drone uses with our Free Drone Course. UVify’s Draco Drone Can Hit 100 MPH! The Umbrella Drone, Ridiculous? Yes, But Innovative!